Ares Games will be present at Essen Spiel 2018 (October 25-28, Essen, Germany) with several new games at booths E-100, in Hall 3, and C-130, in Hall 2. Battlestar Galactica – Starship Battles, the combat miniature game based on the Battlestar Galactica™ TV series, will pre-release at the show, with demos and a limited number of copies available for sale – the game will start to hit the stores in early December. The 4Х board game Master of the Galaxy, new expansions for the Sword & Sorcery line – the Hero Packs Krogham and Samyria and the third campaign set, Darkness Falls, are the new releases coming at Spiel, and the thrilling card game Monsters vs Heroes – Victorian Nightmares, released earlier this year, will be presented for the first time at the show. The upcoming games Tripods & Triplanes Starter Set and Nightmarium will also be demoed at Ares’ booth in Hall 3. 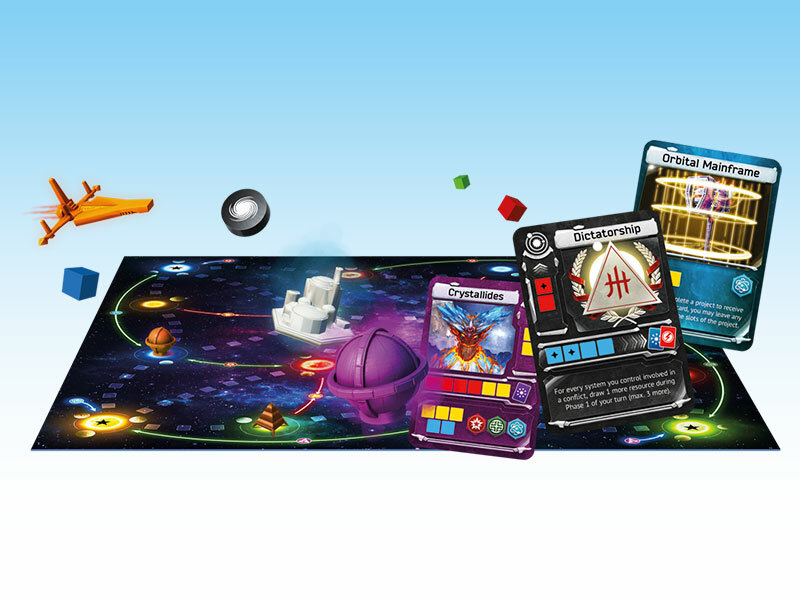 The 4Х board game Master of the Galaxy. Visitors will find several exclusive promo items offered together with purchases at the show. 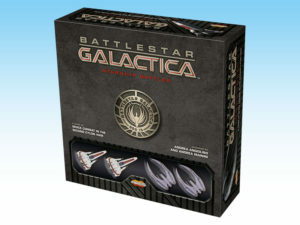 For the pre-release of Battlestar Galactica – Starship Battles, the promo card “Starbuck” will be given with the Starter Set. Other promos include the “Solo Card Set” with Master of the Galaxy, the alternate “Frodo” card with Hunt for the Ring, “Treebeard” promotional mini-expansion with War of the Ring Second Edition and Lords of Middle-earth, “Tidings not Burdens” promo for Warriors of Middle-earth, and “Bubi” and “Whoopi” cards with Last Friday. At Spiel 2018, visit Ares Games booths in Hall 3 (E100) and Hall 2 (C130).